Iranian Foreign Ministry spokesman Bahram Kasami says world powers must increase effort if they seek to uphold accords. Iran called on the European Union to accelerate its efforts to save the 2015 nuclear deal as the US tightens sanctions on the Islamic Republic. "Europeans and other signatories of the deal (China and Russia) have been trying to save the deal ... but the process has been slow. It should be accelerated," said Foreign Ministry spokesman Bahram Qasemi. The comments come two weeks after U.S. President Donald Trump signed an executive order officially reinstating U.S. sanctions against Iran. 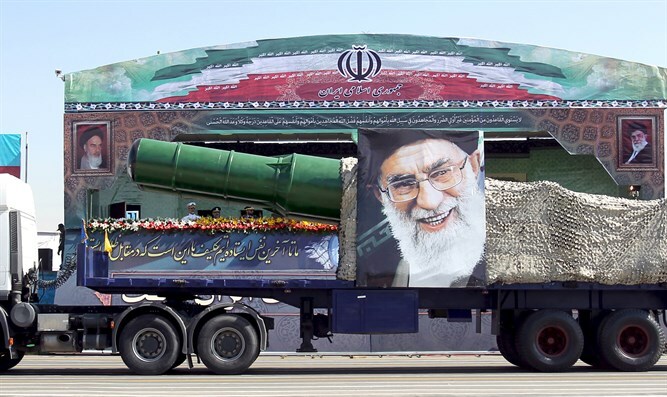 The sanctions target Iran's access to American dollars and steel and automobile industries, ban trade with Iran in gold and other precious metals, and include other sanctions which were lifted under the 2015 deal. The sanctions were reimposed three months after Trump abandoned the nuclear deal under which sanctions on Iran were lifted in return for curbs to its nuclear program. Trump pulled out of the 2015 nuclear deal in May, but has called for direct negotiations and emphasized his willingness to re-evaluate his decision if changes to the deal are made. Iran recently reopened a nuclear plant that was idle for nine years as it prepared to increase uranium enrichment capacity in response to Trump leaving the 2015 deal. Earlier this month, Iranian President Hassan Rouhani called Trump's offer to talk "psychological warfare." Last month, Iran’s Interior Minister Abdul Razza Rakhmani Fazi rejected Trump’s call as well, insisting the US is untrustworthy and therefore Iran cannot recognize it as a negotiating partner.